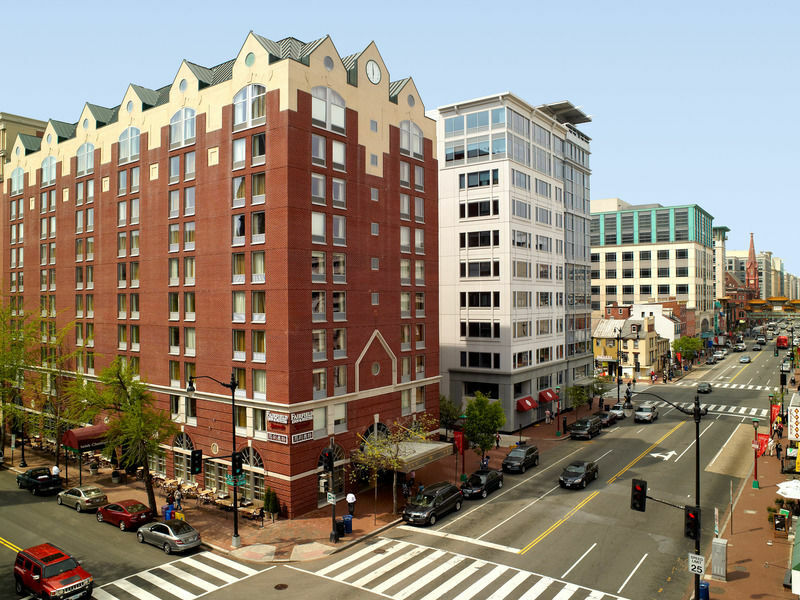 Located in the heart of the nation's capital, the Fairfield Inn and Suites Washington, DC/Downtown offers the ideal stay for tourists and business executives alike. This completely renovated Convention Center property combines stylish accommodations with a convenient Chinatown location and the comforts of home. Accommodations are outfitted with complimentary Wi-Fi, plush bedding, a spacious desk with digital plug-in panel and an upgraded bathroom. Nine custom loft-style suites offer a unique layout with a half dividing wall separating the sitting area from the sleeping area which features a king sized bed. The suites also include a pullout sofa, a mini-fridge and a microwave. Mornings are always bright with complimentary breakfast, best enjoyed before or after a workout in the exercise room. Enjoy classic pub fare and your favorite cocktail at our Irish Channel restaurant (open for lunch and dinner and offering room service from 11 am—11 pm). Just two blocks from the Gallery Place metro, this hotel is ideal for those heading off to meetings or to explore the city's biggest sights, including the White House, National Mall, Lincoln Memorial, Washington Monument, Smithsonian Museum and the U.S. Capitol. The Capital One Arena, Washington Convention Center, and Judiciary Square are just steps away. Celebrate the National Cherry Blossom Festival at Fairfield Inn & Suites by Marriott - Downtown DC!